Almost 15 months after rounding up dozens of Saudi Arabia’s richest and most powerful people and imprisoning them in Riyadh’s Ritz-Carlton, Crown Prince Mohammed bin Salman has declared the raid a lucrative success. An anti-corruption commission headed by the crown prince said a total of about $107 billion -- a mix of cash, real estate, companies and securities -- has been recovered from 87 people. Aside from confirming a $1 billion payment from the former head of the National Guard, the government has said little about the nature of the individual settlements. 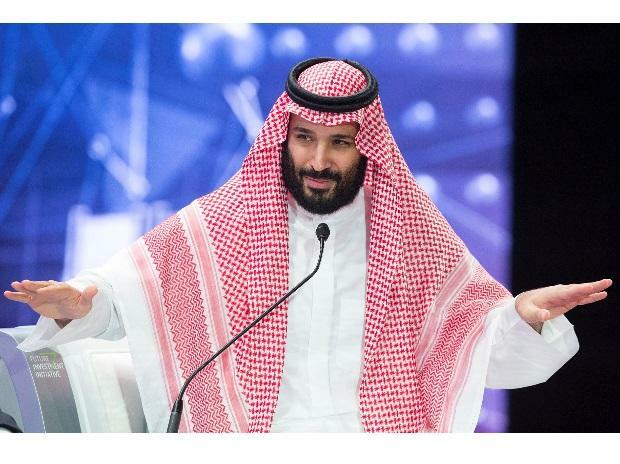 Less than four months ago, the crown prince told Bloomberg News that $35 billion had been collected from the prisoners. Verifying the commission’s claims is made more challenging by the opacity of the Saudi market. Closely held companies rarely disclose financials and the value of real estate -- the preferred asset of many wealthy Saudis -- is obscured by unrecorded transactions and restrictions on buyers. Detainees have been trickling out of prison for more than a year. Saudi-Ethiopian billionaire Mohammed Al Amoudi, was freed just last Sunday after being held in an undisclosed location on bribery and corruption charges. Also released within the past few weeks: philanthropist and former government minister Amr Al-Dabbagh; former McKinsey & Co. partner Hani Khoja; and Sami Baroum, an ex-managing director of one of the kingdom’s biggest food companies. Authorities have constrained post-prison life for many of those targeted, with travel bans and heightened surveillance within the country. Arguably the most high-profile target of the crackdown, Alwaleed was released after 83 days in detention, looking thinner but praising the kingdom’s leadership. He told Bloomberg News shortly afterwards that he signed a confidential “confirmed understanding” with the government and that operations at his business empire were back to normal. Shares of his investment group, Kingdom Holding Co., have dropped 22 per cent since his arrest. Alwaleed, Saudi Arabia’s richest person, has a 95 per cent stake in the company that comprises half of his net worth. In October, Kingdom Holding signed a $1 billion loan, its first financing since his arrest, and the firm’s chief executive officer said last month that it’s considering spinning off some real estate investments. Alwaleed, known to be a restless globetrotter, is said to have been banned from traveling abroad. He has about $2.6 billion of assets outside the Middle East. Al Amoudi, the nation’s second-richest person, was released Jan. 27, six weeks after Saudi officials confirmed he was being held on corruption and bribery charges and would stand trial. His fortune originated with a government contract during the reign of King Fahd and is now mostly tied to assets outside the kingdom. He owns the biggest fuel company in Sweden and is the largest individual investor in his native Ethiopia, where he owns gold mines, hotels and agricultural tracts. While his businesses abroad continued to operate independently during his detention, the status and control of his Saudi assets -- which include a chain of gas stations and an engineering firm -- is unclear. Al Amoudi is healthy and in good spirits and has met with senior managers of his companies, according to a person close to the billionaire, who asked not to be identified because he wasn’t authorized to speak publicly. Kamel, a self-made finance and health-care entrepreneur, is a pioneer of modern Islamic finance. His fortune stems from Bahrain-based Albaraka Banking Group and Dallah Albaraka, a sprawling Jeddah holding company that controls businesses spanning health care, real estate and food manufacturing. Kamel was also one of Saudi Arabia’s earliest media magnates. In the 1970s, he founded one of the country’s first television production companies and was an early investor in Middle East Broadcasting Center, a regional media giant whose chairman, Waleed Al Ibrahim, was also detained and released in January 2018. After the emptying of the Ritz, the government took control of 60 per cent of MBC, including shares belonging to the Kamel family, while Al Ibrahim retained his 40 per cent share, according to people familiar with the matter. Alhokair is a co-founder and major shareholder of the Fawaz Alhokair Group, a franchise retail company he formed with his brothers in 1990. He was freed after reaching a settlement with the government, a senior official said at the time. The company is preparing to sell 30 per cent of its shares in its Arabian Centres mall unit, a listing that had previously been put on hold because of Alhokair’s arrest. Shares of the company -- of which he owns 23 per cent, according to recent Saudi stock exchange filings -- have tumbled 41 per cent since his detention.